The imported Xiaomi Mi 6 turns out to be a virtual no-brainer when it comes to recommending it for purchase and, at the same time, it's a good bargain. It's one of the first devices to have Snapdragon 835 - but that’s not the only reason why it’s such an unbelievably powerful device. In this review, we'll show you some of the cool things this Xiaomi has done with this phone. Depending on the configuration, the imported Xiaomi Mi 6 models cost around $515 at Trading Shenzhen. Add to that $20 for shipping and the merchandise processing fee (MPF), which is up to $9. The Xiaomi Mi 6 model with a ceramic back, 6 GB RAM and 128 GB of internal storage has a gross price of $567. In comparison, the Samsung Galaxy S8 with 64 GB of internal storage and 4 GB RAM has a gross price of $655 (original list price $900). Like many other modern flagships, the Xiaomi Mi 6 has a glass front and back, although it is not the tough Gorilla Glass. However, the Mi 6 does make quite a robust impression. Furthermore, it is also splash resistant, a welcome but now common bonus among flagships. Xiaomi includes a rubber protective cover with the Mi 6. Only then does this smartphone’s slippery properties become acceptable for daily use. Without the case, the Mi 6 slips everywhere even if the smooth surface is slightly turned, so you'd run the risk of dropping the phone and breaking the glass. Furthermore, you can feel a small gap between the rear glass plate and steel frame without the case, and dirt would accumulate in the gap over time. There is one plastic slit on the side and two on the bottom - through which the antennas beam their signals - which interrupt the bezel. The center of the bottom contains a USB Type-C port, which is where power, data and digital audio signals are transmitted. There’s no headphone port, but an adapter is included. Its relatively compact 5.15-inch display is nearly borderless on the long side of the housing, although it has longer edges on the top and bottom than an LG G6 or even a Samsung Galaxy S8. At full HD, it's good enough for normal viewing from half a meter away, although we wouldn't recommend it for VR. Bad brightness controls on smartphone displays are awkward, especially when used outdoors; but this is not so with the Mi 6. If a cloud moves over the sun, the display dims down and it’s still very readable. If you step outside from your house, the automatic display setting turns up the brightness and can effortlessly light up the display against bright daylight. Its maximum brightness of 600 cd/m² (manufacturer specifications) is good enough for your average midday sun. Its minimum brightness of 1 cd/m² (manufacturer specifications) is one of the lowest I have ever seen on a smartphone. The blue filter in reading mode is useful when reading that last news article before you fall asleep. The IPS panel contrast is at 1:1500 and covers 94.4% of the NTSC color space. The Xiaomi Mi 6 still has a virtually extinct IR blaster. With it and the pre-installed Mi Remote app, you can turn off the TV in restaurants or cause a commotion in your local tech store. Furthermore, the SIM slot provides room for two cards. So if you carry a second card around for business purposes, for cheaper mobile Internet or for travel, you can use both cards simultaneously, but only one of them can be connected to the 4G network. The review model provided to us by Trading Shenzhen initially had Chinese firmware, though we were still able to set it to English. To install the Play Store and other essential Google services, you need to use the backup interface as a back door. However, the results are incomplete: Gmail and Calendar cannot be synchronized with Google. The more reasonable method of adapting the Mi 6 to our market involves completely replacing the firmware. And unless you yourself have happened to put a custom ROM on a smartphone before, it's something that should be left to a professional. 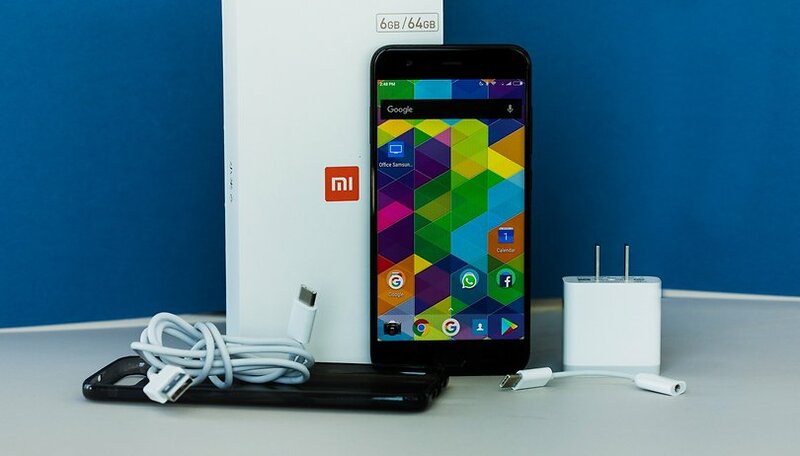 The unlocking process via your Mi Account along with finding and loading the right recovery and firmware are peppered with little traps that have really tested my patience. Like Huawei’s EMUI interface, Xiaomi’s Android interpretation can create MIUI app clones. If you use two Facebook or WhatsApp accounts in parallel (which could very well be the case thanks to the two SIM card slots), you can create a separate app shortcut for the app’s second account. The app data is then stored in a separate directory so that you can use the app under two different labels. The feature can be used on all installed apps - at least in theory. Xiaomi’s Dual apps are a bit of a fail. The DrimSIM app has network error, and Facebook throws a 104 “incorrect signature” error. Alternatively, Xiaomi MIUI’s Second Space offers multi-user support in Android. This gives you an additional option to use the same app twice. However, our review has shown that this conflicts with Google Play services. Do you want twice the security when starting certain apps? The App lock can hide apps, such as Twitter, behind a second display lock or a fingerprint. I can’t find the added value in this function. After all, Android does provide tools - such as screen lock and screen pinning - to securely hand over the smartphone to your friend or colleague. Unfortunately, Xiaomi has removed screen pinning from MIUI, which is one of many puzzling design decisions that the manufacturer made for its Android interpretation. You can also lock your apps in Child mode. However, the locking mechanism is opposite to that of App lock: Child mode works with a white list of visible apps. Access to the remaining apps is hidden behind your display lock or your fingerprint. Even this could have been solved by Xiaomi using Android’s native screen pinning. The Mi account gives you access to quite a good backup system for app data, SMS and to unlock your bootloader. The latter is necessary if you wish to replace the Chinese firmware with a different one. Granted, benchmarks are only a momentary snapshot, since software optimizations are constantly changing the numbers. Furthermore, only CPU, GPU or storage performance is measured without considering signal processors, machine-learning optimizations or the performance of various antennas. The Mi 6 offers native VoLTE support, but prospects for Wi-Fi calling are low. However, this is due more to network carriers than Xiaomi, since they can't agree on one standard and each would rather implement its own in-house solution. The Mi 6 lacks a headphone jack, or at least it lacks one on the device itself. It does, however, include an adapter for connecting it to a Type-C port. It's easy to use: insert, connect and listen. Signal quality is OK for general use. The internal loudspeaker sounds loud and clear. It's capable of stereo sound according to the model already seen in the Huawei Mate 9 or HTC 10: In landscape format, the loudspeaker next to the selfie camera emits sound toward the front and the loudspeaker on the right next to the USB port emits laterally. The stereo effect that this creates is OK, but not as good as two loudspeakers that emit sound toward the front, as in older HTC devices or the Nexus 6P. The dual rear camera reliably shoots good images and takes stable videos with true colors. Unfortunately, pictures from the rear camera initially bear a watermark that you first need to deactivate in the options menu. No image noise was detected in poor lighting conditions. Conversely, you can always detect a spot pattern when viewed in detail, which will turn your pictures into Van Gogh works of art, whether you like it or not. Click the link above to go to the gallery of review videos and photos that I took with the Xiaomi Mi 6. You can choose to record 4K videos in normal mode, in slow motion, or in time lapse. Thanks to OIS stabilization, the time-lapse shots look very good, even when shot by hand. You can set the time lapse tempo in the settings yourself. Only HDR mode for videos was still buggy in the review device, but this can be addressed in a future software update. In contrast, the selfie cam was downright shocking and did not deliver decent snapshots. In dusk or in backlight settings, you should have someone else take a picture with your smartphone so that this person can take a picture of you and your friends with the rear camera. The Mi 6’s battery lasts a long time and charges quickly. Approximately five hours of display-on time is available for use when charged daily. A little bit more than an hour is all it takes for the battery to be charged for a full day’s use. The included charger requires an adapter, which Trading Shenzhen provides. Alternatively, you can replace it with any Type-C charger with Power Delivery and charge just as quickly. The Xiaomi Mi 6 is the fastest smartphone that I have tested to date. After some cumbersome conversion of Chinese ROMs to MultiROM, full support for Google apps was also achieved. I recommend that you shell out a small amount of money to the importer so that they take care of localizing the software for you. Apart from 4G Band 20, the Xiaomi Mi 6 can do everything that you could ever ask from a modern flagship and for $200 less at that. Together with protection against glass breakage, the purchase is probably worthwhile for most of you, unless you definitely need 4G Band 20. Do you suspect benchmark cheating? hope it comes to India soon.